So I guess I lied. I’m sharing more than one pumpkin recipe this fall. But y’all asked for it, so it’s your own fault. #sorrynotsorry. Ever since we got a waffle iron, Mr. Table usually wants waffles for weekend breakfasts instead of pancakes. I had a half can of pumpkin open in the refrigerator left over from making pumpkin overnight oats, so Mr. Table suggested pumpkin waffles last weekend. Y’all made it clear that you wanted the recipe, so here it is! 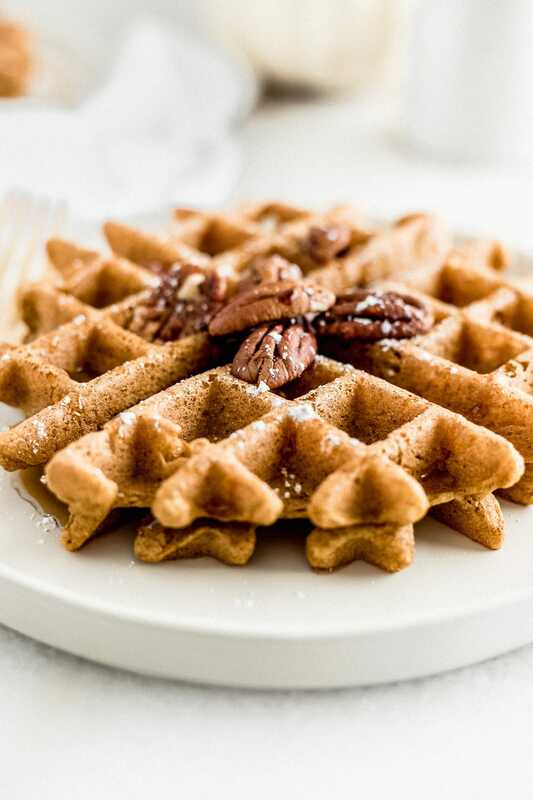 These healthy whole wheat pumpkin waffles are pretty dang good. They are similar to my pumpkin pancakes, and make the perfect cozy breakfast or brunch for fall weekends. 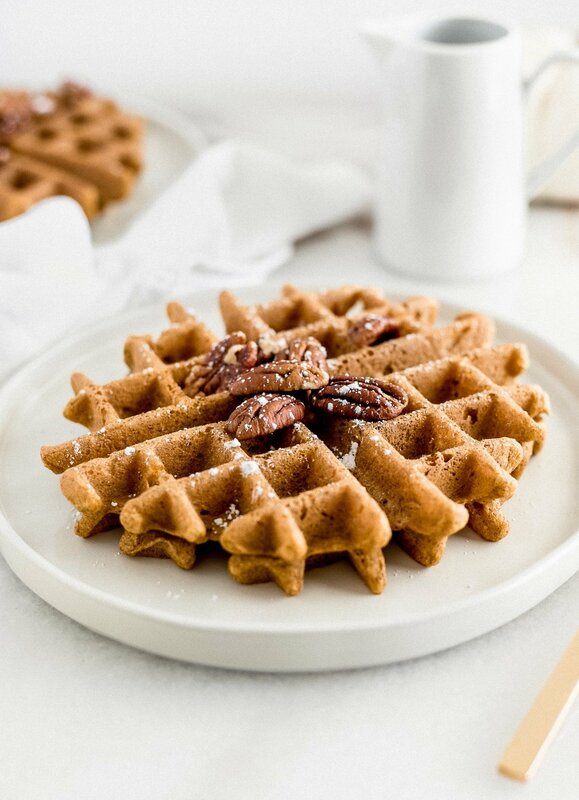 With crispy outsides and fluffy insides, these pumpkin waffles have the perfect texture. You can thank a generous tablespoon of cornstarch for that. 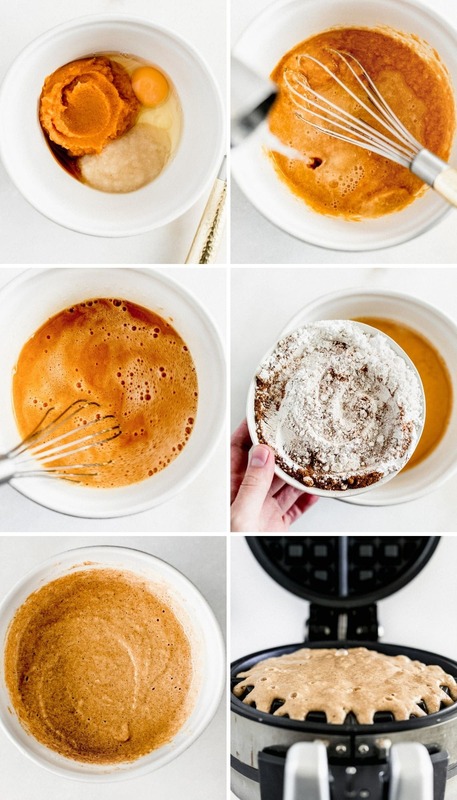 It’s the secret to good crispy waffles. Real pumpkin puree and bubbly club soda makes the insides light and fluffy. 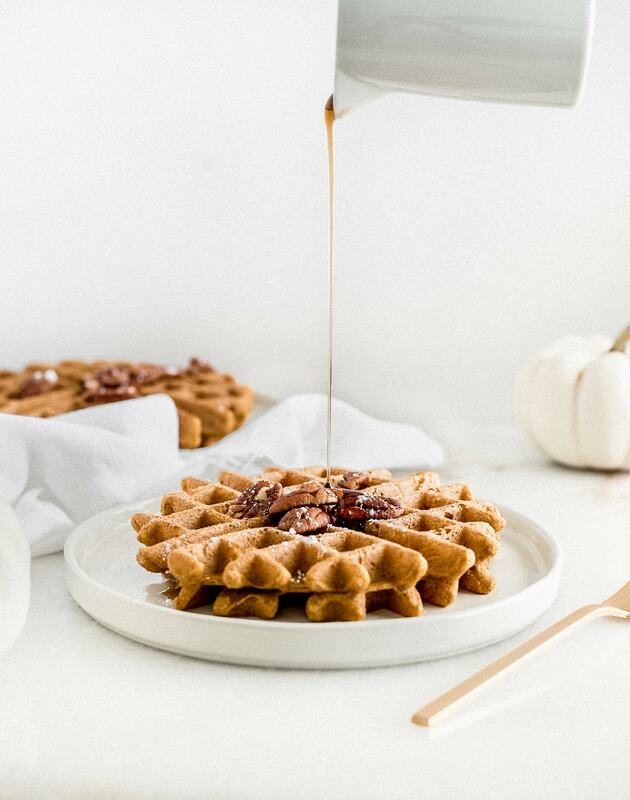 Drizzle your pumpkin waffles with a bit of real maple syrup or honey, or if you’re feeling really ambitious, you can top them with some of my pumpkin granola and fresh figs. Now I’m pretty sure that was my last pumpkin recipe for the season. In a large mixing bowl, combine flour, cornstarch, baking powder, baking soda, pumpkin pie spice, cinnamon, and salt. Add pumpkin puree, egg, vanilla, and soda or milk. Whisk until just combined. Heat waffle iron. Spray with oil and pour batter by 1/2 cup (more or less depending on the size of your waffle iron) onto iron. Cook according to manufacturer’s instructions. 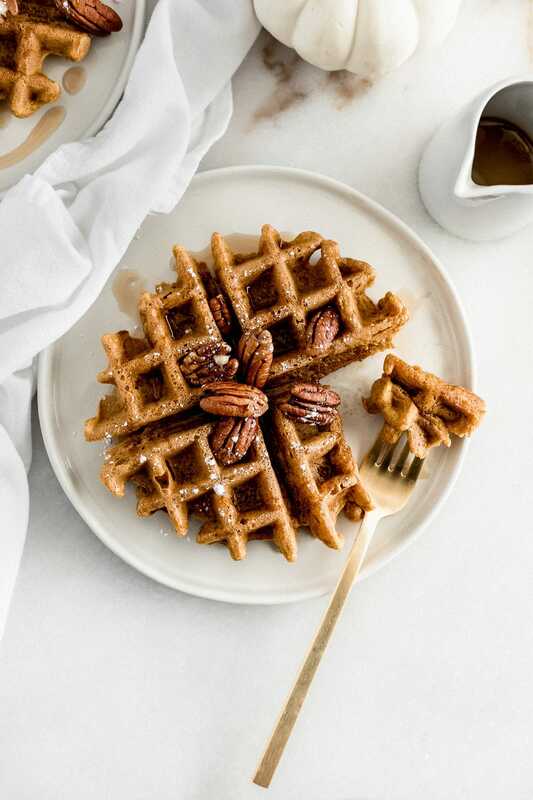 Serve waffles with maple syrup, honey or yogurt as desired.